I like the idea of the 10/23 as it maintains a link from the current 23 to the West end rather then Paddington and Lancaster Gate. Looks like the Wembley extension/452 diversion is cancelled. I doubt TFL will have the 10 and 23 running between Paddington and Ladbroke Grove. The 113 and 159 quite logical and expected. I think the Marble Arch terminus of 7 and 94 is frankly a cop out and makes particularly the 94 an almost pointless route. 31 to Acton Green and extend the 274 to Notting Hill Gate (it has little purpose just to Lancaster Gate) now it is going DD. I wonder what is happening with the 452 proposals if the 10 is taking its place. Have I missed a change of plan? So TfL is still sending the 23 to Wembley? According to TFL the 10/23 idea replaces the original plans so it looks to be cancelled. If stand space at Marble is an issue maybe the 137 and 94 could join and run as Streatham Hill to Shepherds Bush with the 31 to Acton Green. 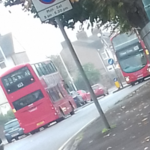 With only the 159 moving out they now need space for the 7, 30, 137, 94 and 98 and 189 with the 113 likely standing there aswell. Also potentially at a later stage the 2 and 74 aswell. No wonder the U shape 10/23 us proposed rather then cutting both to Marble Arch. That's very disappointing to hear. I was sceptical at first but now it looks like a good idea. This now leaves the 18 without any assistance. To mention the 10 would be to start the same issues that occured with the 13/82. I note that they have gone as far as to upload a map of proposed routes to serve the area showing the new Hammersmith- Westbourne Park route only as “TBC”. I suspect TfL are concerned not to get embroiled in another long running debate over route numbers hence the hesitation. I also think we have a "moving feast" here where these proposals are clearly only a stepping stone. Several elements of what is being proposed are clearly incompatible with the scheduled later phases of pedestrianisation so I suspect little of what is being planned now will last very long. TfL clearly are struggling to manage flows and particularly the volumes of routes scheduled to terminate at Marble Arch. The same issues will apply at TCR where I suspect the struggle is vastly worse than at Marble Arch. I suspect the 23 / 452 swap over at Westbourne Park is dead as is any plan to add an extra route to Wembley. To my simple mind it would make a little more sense to actually link the 10 and 98 to give a Willesden to Hammersmith service. OK it's a long way round for a short cut but it would remove one high frequency terminating route at Marble Arch and the frequencies are reasonably compatible. I'd run the 23 into Portman Square but via Seymour St from Edgware Road. I suspect the well to do residents of Seymour St would not like buses down there (there is a coach ban in place) but they may have no choice once the west end of Oxford St is paved over. I'd prefer the 23 to get as far as Oxford Circus via Wigmore St but clearly that's not an option as TfL are trying hard to minimise volumes using this road. Even more ideally the 7 would also reach Oxford Circus the same way but I'm clearly in the land of "clouds and cuckoos" for having such dangerous thoughts. The 148 already supports the 94 to Shepherds Bush. I dont think that having the 94 corridor run only to Shepherds Bush is a good idea there are quite a few through journeys that would be disrupted. Even more ideally the 7 would also reach Oxford Circus the same way but I'm clearly in the land of "clouds and cuckoos" for having such dangerous thoughts. If TfLs predictions on modal shift are correct and these OSW plans go ahead, then the only thing that sounds like it has a chance at savingthe patronage on the 7 is this idea. If both of the aforementioned changes take place then it sounds like the 7 maybe better off as a single decker route on a high frequency. With the 23 likely continuing from the Portobello area to Marble Arch (same as the 7) I wonder if a DD conversion plus maybe an extra journey each way on the 70 could see the 7 withdrawn completely. Capacity between East Acton would probably suffice on an upgraded 70 with the hopper fare allowing free transfer to the 23 to continue to Marble Arch. Would certainly save a route from Marble Arch stand space. Wigmore Street, Margaret Street etc., will struggle with buses, I've seen just today the 25's and 73's struggle just to get back onto Oxford Street out of Great Portland Street and the tiny back roads not really expecting a decker to use them And once Brexit kicks in, and the crowds dry up after having pedestrianized the length of Oxford Street, and it becomes as busy as Brentford on Good Friday, is there a Plan B? Oxford Street is being pedestrianised to supposedly create an enhanced shopping experience - it has nothing to do with a growing population. Routes don’t get cut back because of Co2 emissions - not only that but most buses in Central London are either hybrid, electric or hydrogen. I know that but they are focusing on air/noise pollution, traffic overcrowding etc. Nice Proof reading "We will decide later would route number to assign to this new route" . "139 West Hampstead - Waterloo". I believe it is now Golders Green! Marble Arch Stand is going to be busier as well as Oxford Circus Stand. 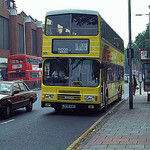 In regards to the 113 there was no point re-routing it to Marble Arch replacing the 189. I thought it was pointless when these changes happened earlier this year. 10/23 so pretty much the 10 is withdrawn between King's Cross and March Arch and extended to Westbourne Park. 73 & 390 takes everyone. The 23 is already in consultation to be re-routed. Would be interesting to know what replaces the Russell Square section of the 10. The 7 just gets even shorter. No surprise to the 7 & 98 last stop at the top of Edgware Road. 94 & 159 no surprises, 94 terminates at the top of Bayswater Road. No new links really made just 8 routes standing at Marble Arch.